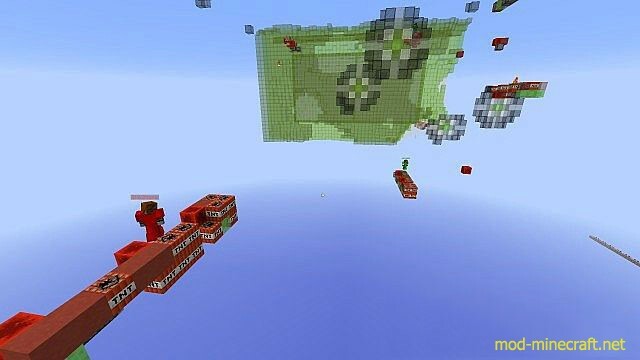 A collaboration between SethBling & Cubehamster. 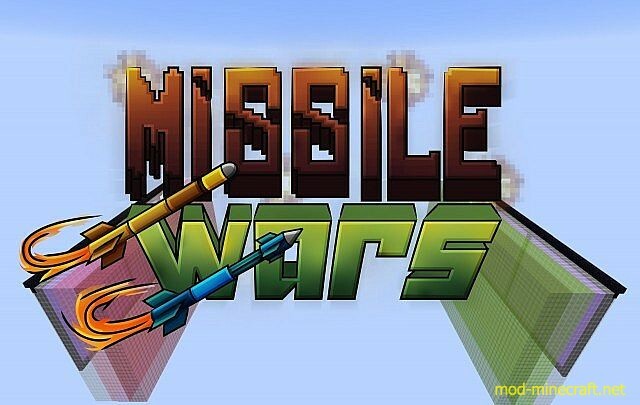 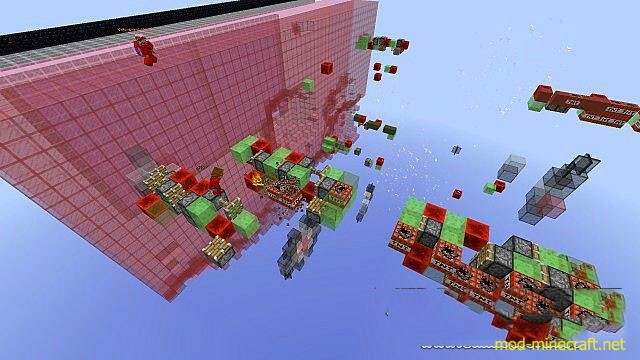 Missile Wars is a vanilla Minecraft mini-game where you launch missiles to destroy your opponent’s portal, while defending your own! 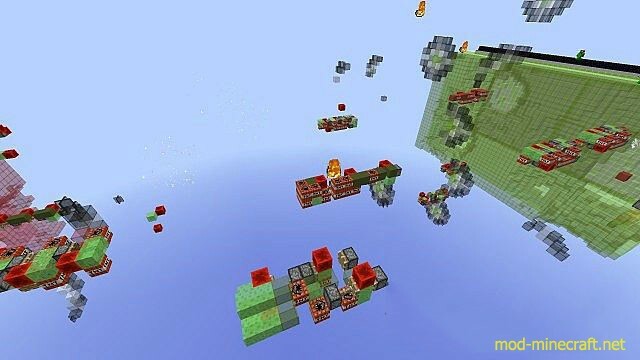 Launch missiles by right clicking on the ground with missile eggs to launch missiles to the opponents portal and shield. 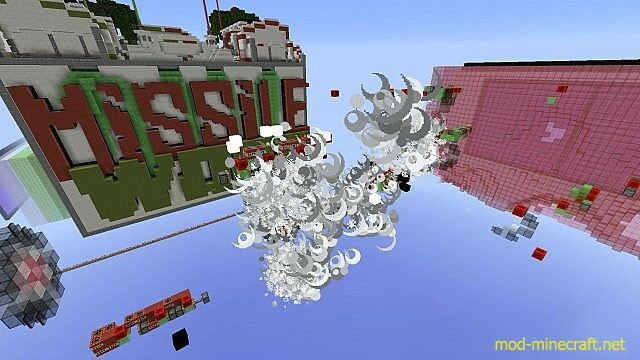 Use any means to destroy incoming missiles. 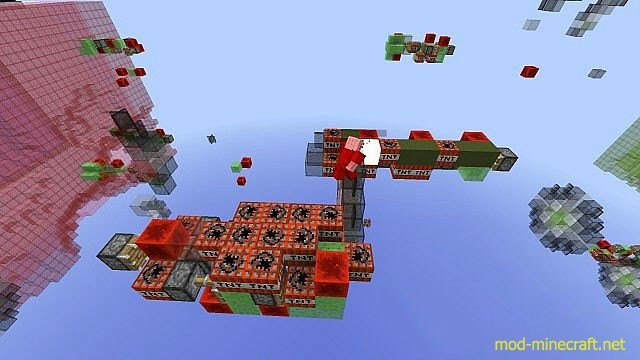 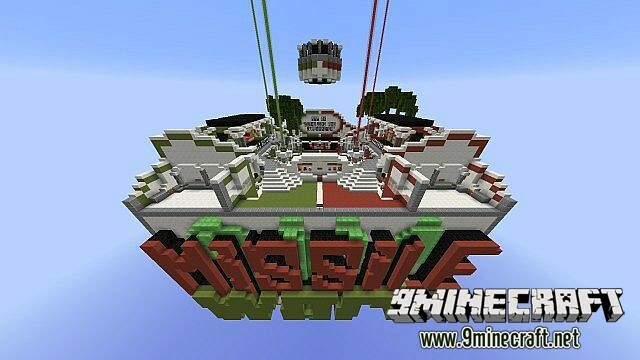 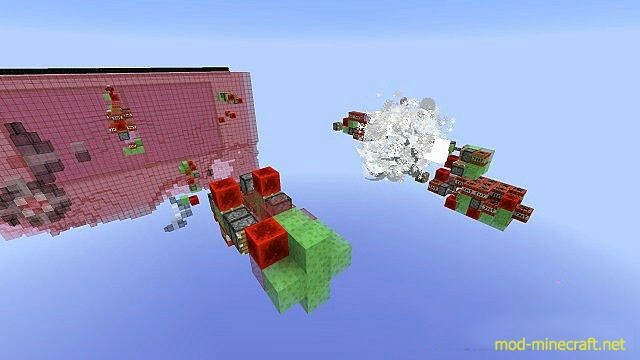 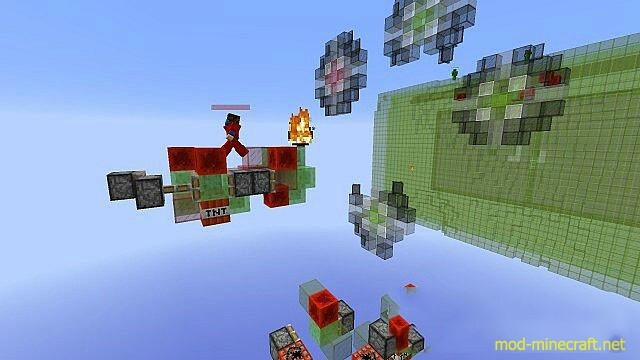 A combination of: Slimeblock Flying Machine, TNT Explosions, Parkour, PVP & Bomb Defusal. 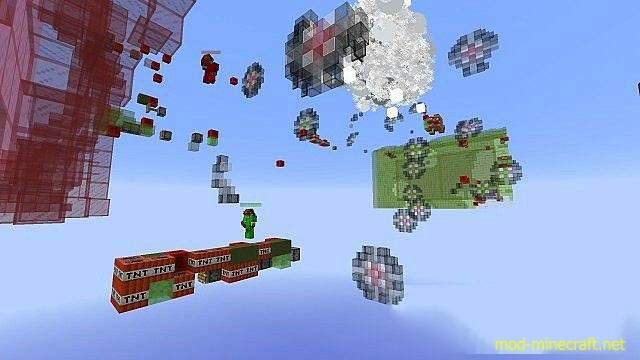 If you run it on a server make sure you have commandblock enabled. 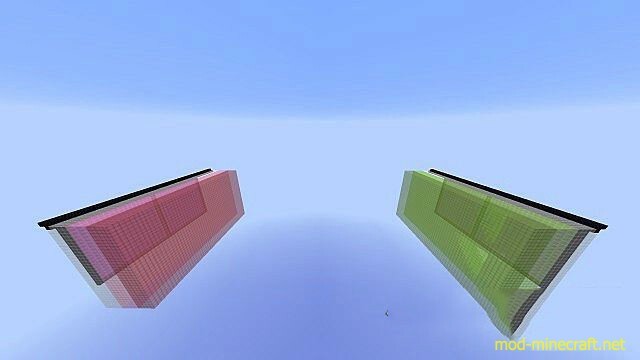 To join teams switch to gamemode 2 and walk into the join team portals.